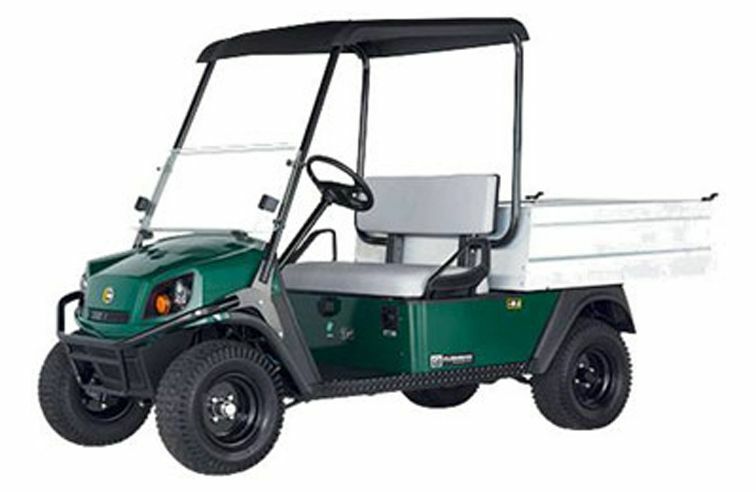 The Cushman Hauler PRO gives users the range and power of a petrol engined utility vehicle, but in a silent all electric package. The 72 volt drivetrain will give up to 50 miles (81 km) range between charges when fully loaded. The AC drive technology which is up to 25 per cent more efficient than DC technology based systems, also provides renegerative braking that recharges the batteries when the vehicle is braked and speed control to maintain speed up and down steep slopes. • Efficient zero emission electric drive provides operating savings compared to petrol utility vehicles and is evironmentally friendly.